The Sodexo Conditions Stakes over 5f on good to soft going. A decent first prize and a competitive two-year-old contest. A few decent juveniles have won this before going on to better things. Log Out Island won this race on debut for Richard Hannon before finishing runner-up in the Norfolk Stakes Group 2 at Royal Ascot and later a consistent performer at pattern class with an official rating of 110. Eight horses declared: seven colts, one filly, two winners. Mark Johnston has a good few two-year-olds in at Kingsley Park. The Last Lion started odds-on favourite for the Brocklesby Stakes. Even with a couple of significant non-runners that must be one of the shortest-priced winners for a long time in modern-day history. This son of Choisir cost 82,000eur. The Last Lion scooted clear of the field, looking an easy winner, although Simmy's Temple finished with vigour to the disdain of favourite-backers who were eagerly looking for the line. A couple of horses who come from this race and done well but I'm pretty sure they improved for their debut. Johnston's charge has the ability and likely to improve for this better ground. Sterling Silva won on debut at Leicester on heavy ground. With just five runners, a couple of those unfancied in the betting, it may not have been the strongest of heats. It is interesting why the apprentice rode that day and this son of Sakhee's Secret drifted markedly in the betting from 1/1 - 7/4. This chestnut colt is a 70,000eur yearling purchase who ran on well in the closing stages. Hannon had four or five two-year-olds entered in the race at the first declaration stage, Legendary Lunch, winning at Windsor. The stable have Inner Circle making his debut today. I would have slight concerns about the form of the Leicester race. David Evans doesn't let the grass grow under his horse's feet and a trainer who knows the score. Deningy was declared to run at Windsor on Monday but withdrawn. This son of Sepoy is similarly owned Walters Plant Hire and second colours to Awesome Allan, which isn't too much of a surprise considering he had won on debut. Those factors make it difficult to assess this chestnut colt but he is worthy of respect costing 64,000gns as a foal. The betting is the best guide. If seriously backed it would be more confidence. Richard Hannon isn't against sending out a debutante to beat a stable winner so it pays to be careful when you see two competing, especially in a decent race. Inner Circle is owned by Julie Wood, who needs little introduction as a significant patron of the Herridge Stable. This bay colt is a son of Choisir out of an unraced mare. She was a cheap foal at just 10,000gns. The breeding or sales price doesn't fill me with confidence. If weak in the betting, best watched. John Ryan is a difficult trainer to assess although someone I would respect especially if well backed. Walter Raleigh is a son of Nathaniel and cost 45,000gns when purchased by the trainer at the yearling sales. Unless very well supported in the betting I would have to take a watching brief. Charlie Hills fields an interesting two-year-old here racing in the familiar silks of A Morton. Captain Hawk is a son of Acclamation out of a winning, Liste-raced mare. He cost 140,000eur at the yearling sales. The stable can go well when priced 13/2 & less. 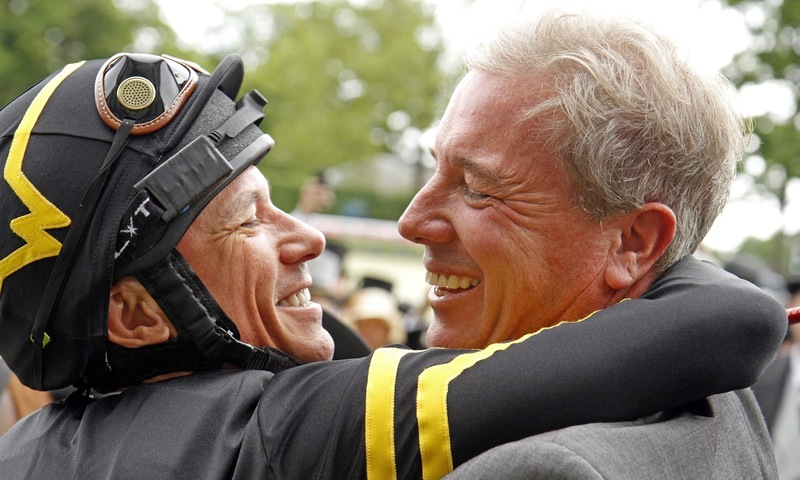 For many, the most interesting horse in this race is Wesley Ward's Create A Dream. The only filly in the field, this daughter of Oasis Dream was earmarked for the Brocklesby Stakes and hit the headlines. By all accounts, this juvenile is held in high regard and would have started that race favourite but withdrawn due to the soft going. Considering she would have been fancied to beat The Last Lion on debut it will be interesting to see how she fairs in the betting. This home-bred filly has just turned two (25th April) and wears blinkers for the debut, which isn't unusual for this trainer. I would expect a big run although I very much doubt it would be in her favour if the ground became soft. Compton Lane is best watched. Conclusion: An interesting race. The betting will most likely have this as a three-horse race. The two debut winners facing the reputation of Wesley Ward'd Create A Dream. She was fancied to win the Brocklesby and would have been sent off the favourite. That in itself makes for an intriguing race. I can see the American horse starting favourite as long as the ground keeps better than not. The Last Lion will set a stiff challenge and will have race fitness and experience. At the prices, I would simply watch. I wonder if Sterling Silva may struggle. The debutantes are of interest for the future. Deningy could well have the ability and an expensive two-year-old for the Evans stable. Captain Hawk is another who cost a lot and from a yard who can go well. Inner Circle has been bred from a poor mare and you have to worry that Hannon sent the best of the original entrants to win at Windsor on Monday. The others are worthy of respect as trainers are likely to send their better juveniles to race at this class but best watched today. *Note - I had detailed the winners would carry a penalty, which is incorrect as they were at lower class so meet on leevel terms.